Kate's dream of owning a horse has finally happened. But now her best friend Tori has no money to buy a horse. So Kate comes up with a plan--she'll raise money by boarding horses and hosting a show in her family's barn. It seems the perfect solution until Melissa, the girl who disses Kate and Tori at school, shows up to board her horse, determined to compete in their show and win the silver spurs. Will their plan be ruined--or does God have something better in store for them all? 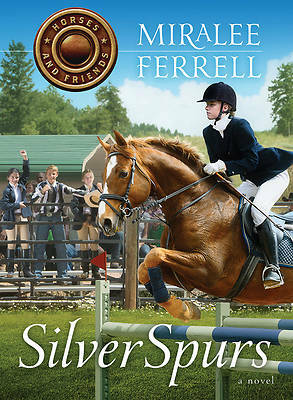 "Silver Spurs "is a tale of overcoming fears and trusting God with your dreams.